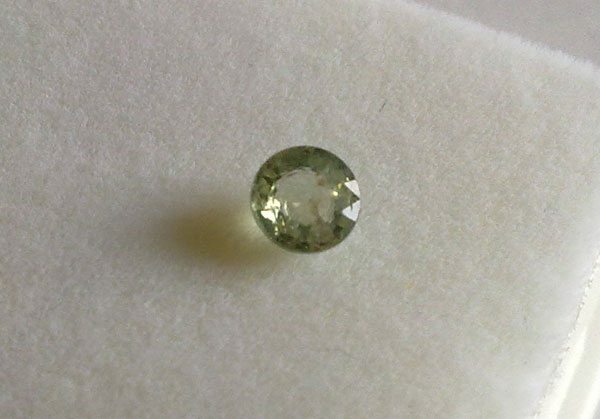 Vey nice natural green Sapphire loose gemstone, cut in a round brilliant cut that make this gem really sparkle, very shiny and bright, with excellent transparency and a beautiful and well saturated green color with shades of yellow hue, very bright and shiny. 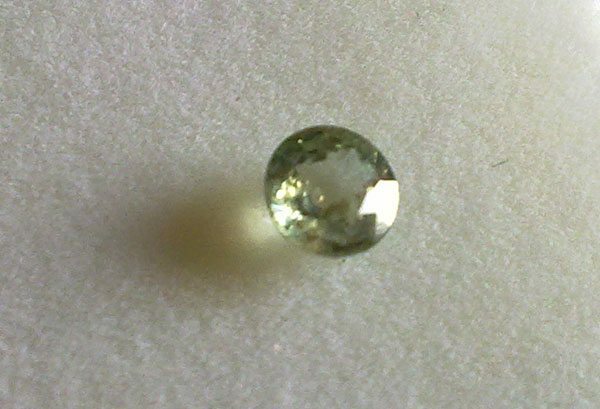 Some very small inclusion can be seen but does not affect the gloss and transparency of this amazing gemstone. 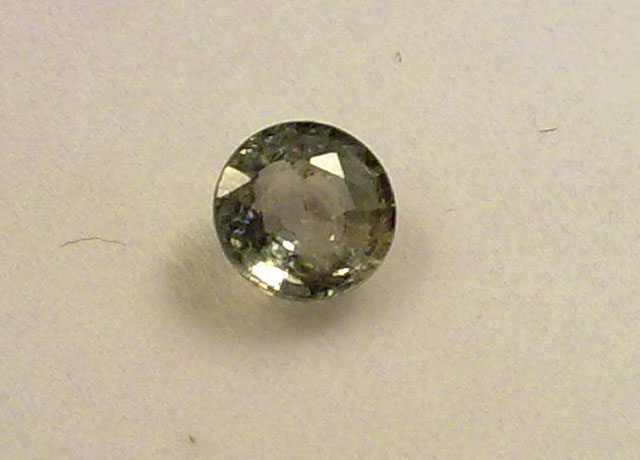 This gemstone was treated by heat a common and acceptable treatment for fancy corundum to enhance the luster and clarity.